This Tuesday, the first-ever event at the Steve Jobs Theater at Apple Park in Cupertino will celebrate the 10th anniversary of Apple's iconic iPhone. It's expected to be headlined by a new OLED model known as the iPhone X, but that's not all the company has in store. 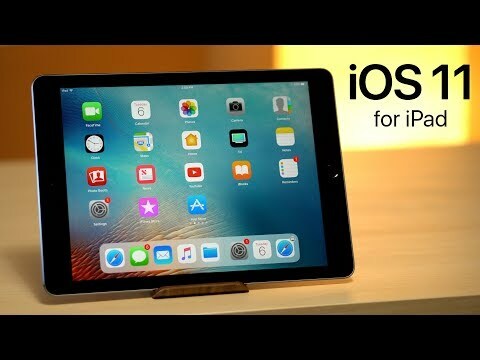 AppleInsider gives you a complete rundown of what to expect. tl;dr: You can expect an OLED iPhone X, as well as LCD iPhone 8 and iPhone 8 Plus models. A new Apple Watch with LTE and an Apple TV with support for 4K and HDR are also expected. Final details on iOS 11, macOS High Sierra, watchOS 4 and tvOS 11 should also be announced. Anything else beyond that seems less likely. Install the official AppleInsider iOS app to stay up to date, and visit our live blog when the event starts. The hype has been building for months and years, and we're finally here: Apple is set to take the wraps off of the next-generation flagship iPhone, a model that is expected to carry a premium price tag starting at $1,000. All of the mysteries will be solved on Tuesday, when Apple lets us know the details on what it will cost, how it works, and why you need it. But like a kid who peeks at his Christmas presents before the big day, we have a pretty good idea of what's in store. We're confident about many of the details of the iPhone X at this point, including the edge-to-edge OLED display without a home button, a notch cut out at the top for the earpiece and forward facing cameras, and new advanced 3D sensing facial recognition technology that is likely to supplant Touch ID for secure logins, as well as allow new animated emoji -- dubbed "animoji". Leaks from the iOS 11 golden master reveal that the facial recognition feature will be referred to as Face ID. Other features of the iPhone X are said to be a glass back and stainless steel border, wireless charging, USB3 Lightning support for quick charge capabilities, and a new vertical dual-camera array. Up until Saturday, we didn't know what it would be named. While hardware is easy to piece together thanks to numerous leaks from the supply chain, Apple's marketing team is tight lipped, and cardboard boxes and packaging are much easier to produce at the last minute than a full-fledged phone. That all changed quickly, thanks to leaked iOS 11 firmware apparently revealing the iPhone X name, barring any sort of last-minute changes or swerves. For months, rumors had referred to this year's handset as an "iPhone 8," representing a full generational leap from the iPhone 7 with an entirely new design. But that placeholder name was never guaranteed, and some enthusiasts took to calling the device by different unofficial names, including "iPhone X," "iPhone Edition," and various combinations thereof. Those who placed their bets on iPhone X: Congratulations! You win the No-Prize. In the end, though, it doesn't matter too much what Apple calls it. It'll still be an iPhone. As for software, reports and leaks indicate Apple will handle the absence of the home button by rethinking iOS, requiring users to swipe up from the bottom of the screen to do tasks like return to home or invoke the multitasking view. Leaks also suggest an enlarged lock button can be pressed to invoke Siri. Because Apple's software development is done in-house, and doesn't need to be outsourced like hardware manufacturing, it's usually much easier for the company to keep secrets about capabilities. Had the iOS 11 golden master not leaked at the last minute, we'd be less sure about how the device works. So much for CEO Tim Cook's vows to double down on security. For weeks, we thought the iPhone X would launch alongside the cheaper models expected to be introduced. But in the last few days, that has changed. Reports now say that the iPhone X may actually launch weeks later, pushing its debut into October. It has been said that there are a number of challenges in manufacturing the iPhone X, which contributes to its high price. Those problems may have been greater than Apple expected, leading to a later-than-usual debut of the phone. Or maybe not. A handful of reports don't tell the whole story, and Apple could be holding a surprise close to the vest for Tuesday's event. We're not sure on the launch date. The successors to the iPhone 7 and iPhone 7 Plus are expected to see new, faster processors and better cameras -- par for the course with new models. But Apple could also entice users to upgrade with a pair of features designed to address charging. Like the iPhone X, the iPhone 8 series is expected to sport glass backs for wireless conductive charging. And also like the more expensive model, the iPhone 8 handsets are rumored to feature USB3 Lightning plugs, for quick charge capabilities. Beyond that, the phones are expected to look and act largely the same as their predecessors, including the retention of a home button. And that's not exactly a bad thing: The familiar design of the iPhone has stayed largely the same for the last 10 years, and that will undoubtedly appeal to some users -- particularly those who aren't inclined to spend $1,000 on a new iPhone X. Thanks to last-minute leaks, we think we know the name of the LCD models. Previously, rumors took to calling the iPhone 7 successors the "iPhone 7s" lineup, just because Apple has historically followed up redesigns with phones designated as "s."
But it appears Apple will buck the trend this year, and actually refer to the "iPhone 7s" handsets as the iPhone 8. Justification for this could be the redesigned glass back, which would set it apart from the iPhone 7. Unlike the iPhone X, we are more confident on the iPhone 8 and iPhone 8 Plus release date. Specifically, they are expected to arrive in stores on Sept. 22. 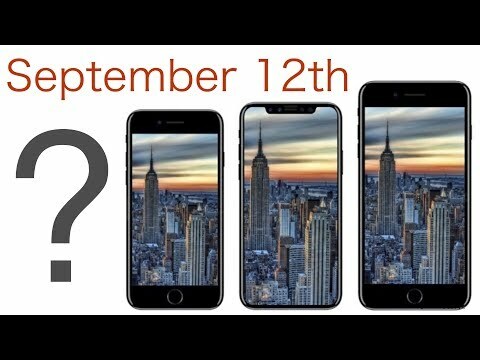 Apple historically launches new iPhones on a Friday, about a week and a half after they are unveiled at a media event. One recent exception was the iPhone 6s, which took two and a half weeks to arrive in stores. There has been no indication this year that the iPhone 8 will see that sort of delay. New iPhones mean new iOS releases, and so you can expect that iOS 11 will debut a few days before the iPhone 8 goes on sale -- likely a week after the Sept 12 keynote, either Sept. 19 or 20. It's likely that other updates forthcoming will launch alongside iOS 11, but that hasn't always been the case. In some years, Apple has delayed other platforms to prioritize development of iOS. We haven't heard any rumblings of a delay, however, so we're expecting that iOS 11, macOS High Sierra, watchOS 4 and tvOS 11 are all going to launch to the public before the end of September. After the first Apple Watch existed for a year and a half, Apple discontinued it with the Series 2 and Series 1 models last September. This year, Apple is expected to unveil a new "Series 3" model, which will likely boast a faster processor. Rumors and leaks suggest it will look largely the same as the current models, but tweaks will be made to the inside. 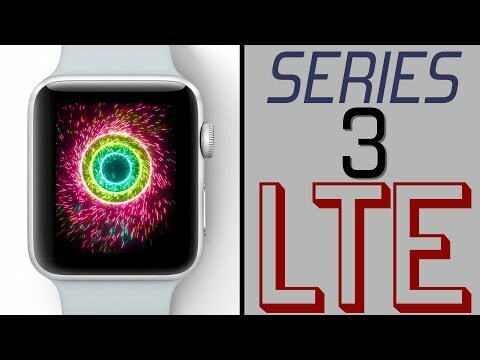 Perhaps most significantly, it is believed that Apple will introduce a separate LTE radio into this year's Apple Watch "Series 3." This would allow the wrist-worn device to accomplish tasks like receiving notifications, invoking Siri, or even potentially streaming music without an iPhone nearby. Given the fitness-focused nature of the Apple Watch, you can expect that LTE connectivity will be pitched as a boon for runners, bikers and other outdoor exercisers who may not want to use an arm band to lug around a phone to listen to music. The leaked iOS 11 golden master -- the gift that keeps on giving -- appears to have outed the LTE Apple Watch, showing signal dots at the center of the watch face. Somewhat oddly, it also shows a red dot on the Digital Crown -- perhaps an aesthetic tweak to allow the LTE-capable model to stand out, or perhaps something else (the red shade shown in the picture does match the red watch hands on the display face). Further digging in iOS 11 revealed that the next-generation Apple Watch will come in two new colors: "Ceramic Gray" and "Blush Gold." It's likely that the Ceramic Gray option refers to the Apple Watch "Series 3" Edition model, which is likely to carry a starting price tag of $1,249. Pricing, however, is up in the air for the LTE model, as it is unknown what kind of a premium a cellular-connected Apple Watch might command over one without. For a starting point, the iPad runs $130 more expensive when an LTE radio is included. Also unclear are data plans. Some carriers offer wearable data plans that can be added onto an existing phone plan. But it's possible Apple might negotiate different terms for its market leading device. Further iOS 11 leaks suggest some carriers may offer a free month of data to entice users to try a connected Apple Watch. Yet again, the best indication that a new Apple TV is in the works came from Apple itself, thanks to code scraped from an accidentally released HomePod firmware file. Apple's code revealed that a new Apple TV, with support for ultra-high-resolution 4K video content, as well as advanced HDR color support, is in the works. In addition, there have been multiple leaks showing 4K and HDR content support on iTunes -- a crucial addition if Apple wants to be able to showcase the 4K capabilities of its new streaming box. There is always an outside chance that Apple could surprise with a new cord cutting TV streaming subscription service, which the company has been trying to create for years. But given that such content deals must be inked well ahead of time, and those agreements typically leak, we don't expect to hear anything about that on Tuesday. Given how much trouble Apple has had meeting demand for AirPods since they launched in late 2016, it wasn't expected that the truly wireless headphones would see an update this year. But leaks from -- you guessed it -- the iOS 11 firmware suggest that new AirPods for 2017 are forthcoming. It's not clear how significant the changes could be, but images in the iOS 11 GM show an AirPods charging case with a dot on the front, below where the top flips open. This could be a small tweak to allow users to verify that the unit is charging, or check the status of the battery, without the need to flip it open. Currently, the charging and power dot is located within the lid when closed. It's possible that Apple could have other changes in store for its AirPods, including more advanced sensors or control functions, but there have been no leaks suggesting that. For now, expect that AirPods will be tweaked, but don't expect a major shakeup to the wearable device. The MacBook Pro was updated in June. While there are newer Intel processors that Apple could use to upgrade its notebook lineup, the company probably would not do so again so quickly. If the MacBook Pro does get another update this year, it wouldn't come until October or November at the earliest. And even then it seems unlikely. If you're holding out for a new MacBook Pro (or 12-inch MacBook), you're probably going to be waiting until 2018. Like the MacBook Pro, the iPad Pro was just updated at WWDC in June. Unlike the MacBook Pro, Apple's iPad is typically updated only once a year. In addition, a new $329 entry-level iPad debuted this spring, and we see no reason that Apple would rush out a successor to that competitively priced tablet. New iPad models will also wait until 2018. The first iPhone SE debuted in the spring of 2016, bringing back the legacy design of the iPhone 5s and earlier with a 4-inch display. Rather than update the components, Apple simply increased the storage, maxing out to 128 gigabytes with a spring 2017 refresh. It still has the same A9 processor and lacks a 3D Touch display. There are some rumblings about a potential iPhone SE upgrade, perhaps with newer processor and better cameras, coming down the pike. But it's expected that a new budget-priced handset could be a 2018 model. Apple's release patterns are usually very cyclical, and the iPhone lineup is especially like clockwork. While a new iPhone SE is a possible spring 2018 candidate, we don't expect to see it at Tuesday's event. We know that a new Mac Pro desktop won't launch until 2018 at the earliest, but it's possible that Apple could provide a sneak peek at this week's event. To be clear, we don't think this is likely -- Apple is probably going to keep this an iPhone-focused affair. But there's an outside chance, so that's why we're mentioning it here. Not much is known about the next-generation Mac Pro, aside from the fact that it will be modular to support the needs of professional users who upgrade and swap components regularly. 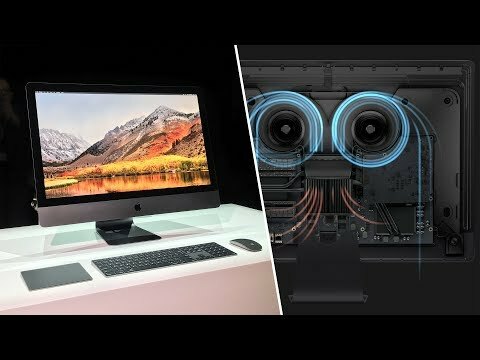 Apple gave a sneak peek at the iMac Pro at WWDC, and plans to launch it this December. Given that it's a few months away, there is some question as to whether Apple might showcase it at this event. As we said before, this is going to be an iPhone-focused event, so we don't expect the iMac Pro to make an appearance. But if Apple doesn't have any other media events planned this fall, then the company might want to give the iMac Pro some stage time -- perhaps to demonstrate macOS High Sierra ahead of its public launch. There is also some question as to whether Apple will release a new Magic Keyboard with Touch Bar to use with the iMac Pro. Currently, the Touch Bar is only found on the MacBook Pro, and cannot be used with desktop Macs. Finally, Apple's HomePod is also scheduled to arrive in December. Given that it is a consumer-focused device that will integrate tightly with the iPhone, it wouldn't be a surprise to see it make an appearance or get a mention at Tuesday's keynote. 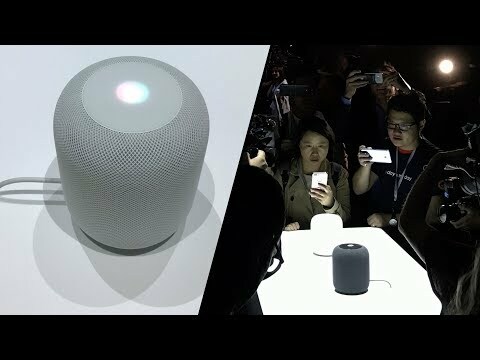 We already know a lot about the HomePod, including what it will look like and how it will work, so there's not much else that Apple could reveal. Don't expect any HomePod surprises, but you also shouldn't be surprised if Apple gives it a mention or quick demo. AppleInsider will be there live on Tuesday for Apple's event at the brand new Steve Jobs Theater in Cupertino, Calif. Our own Daniel Eran Dilger will be providing news, reaction and analysis on everything Apple reveals. In anticipation, be sure to download the official AppleInsider app for iPhone and iPad, where we will be sending push notifications for all late breaking news and announcements. One thing that will take a few minutes of the show is at least a few words from Tim welcoming everyone to the new SJ Theater. I rather expect that to lead the show with a video trailer. I get chills thinking about what clips from the original iPhone reveal with Steve that it will contain. This is, after all, something of an inauguration of the place that bears his name. Without getting too sappy about it, I wonder if Apple Park has an office with Steve's nameplate on it. Or some handicapped spots with a new Mercedes draped across them. So is this the iPhone "Ten", like OSX, or the iPhone "Ex"? Oh, one other thing: AR Kit will be demoed again. It is ten years of anniversary after all. And no, I won’t be askingvwhere is nine. So happy that AI and other tech sites are spoiling the announcements. Must make you proud to walk into this event snickering, knowing everything ahead of time. You can even be pre-disappointed in the products too. Do you all have your headlines and bylines written already? Hell, none of us even need to watch the event live. What would be the point? There should be plenty of unused bandwidth for the streaming since we could be watching WWE Wrestling instead. So I guess I'm not the only one who thinks this leak is fucked up. I think the responsibility lies with whomever posted first, which I'm guessing is 9 to 5? Seems incredibly unethical. And for what, a few extra clicks a few days early? I'm never returning to whichever site started publishing this stuff first. It is a rather strange "game" that takes place every year with all of the Apple enthusiast sites clamoring to be crowned as "Master Spoiler" of the next wave of new Apple product announcements. What's in it of the spoilers? I guess they get to capture a lot of page hits and go back to their advertisers with concrete evidence that their site is getting a lot of hits and is worthy of advertising investment dollars. The other side of the coin is that as much as Apple supposedly hates the constant new product info leakage they also get a lot of high level splash and hype from the leakers and spoilers as well. There are few other products, companies, or industries that I can think of that get nearly unlimited, year-round buzz about what may or may not be coming in the next round of new products from a single company. It's constant and unrelenting. Within days of the new fairy dust settling on next week's 2017 round of Apple new product announcements the entire Apple New Product Speculation Ecosystem (ANPSE) will shift gears and be awash with a new wave of speculation and leakage about Apple's 2018 new products and updates. It's a constantly pumping speculation pipeline. As PO'd as Apple may say they are about the situation they are getting incredible amounts of free promotion and publicity that is keeping Apple enthusiasts and the trade journals that follow Apple on the edges of their seats throughout the year. This has an enormous benefit to Apple - as long as they keep delivering highly compelling products. Should Apple stumble or fail there would be a massive implosion as the same speculators initially punish Apple for their misdeeds, but the speculators themselves would then fall into a deep depression as their relevancy evaporates. This is, after all, a symbiotic relationship between Apple and the leakers and spoilers. They need and feed off of each other and we get to watch it all play out year after year like clockwork. According to Gruber, some rogue Apple employee, in a malicious act released a list of long, unguessable url's for the GM builds to 9to5Mac and MacRumors. They, of course, felt no moral responsibility to refuse to publish the findings. Meh, I'll still watch Tuesday's event, but I already know better than to go to MacRumors other than to watch the food fight. Just the price you have to pay for cutting edge technology! iPhone X will be a big hit! What is another $350 more, right! One More Thing: iPhone SE Pro ! Remember to do a (coffee) shot every time they use PHENOMENAL or AMAZING in a sentence. If I was in my mid-late sixties and had finally conquered the world, I'd go down (like MySpace) wearing a big grin too. Bonus for applauding an opulent building that you helped pay for (unless, of course, you are a stakeholder or old enough to understand how badly they deserved the ultimate reversal of fortune). But seriously...In light of Irma and Harvey, perhaps Apple will consider postponing the event, rather than show up and announce things only "really" available for pre back order anyway. It could be a welcome distraction for the people following along on their smartphones, 12 hours away from home, with limited power but it cloud also make millions of people feel disrespected and be aggravated to be missing out on Apple. Thousands more seem likely to viscerally react to talk about "water proof" watches that run out of power after a couple days. Bad timing. What really makes me to want puke all over myself is the post event headlines/reviews which will go something like, "As we first reported" "As we predicted" "As we already knew" "We correctly predicted" "We nailed this one" "As expected" "As our reliable sources said" It's going to be a chest-thumping, look-at-us we're so smart self-love fest. Then the viciously negative reviews will start flowing. Every product will have some deal killing flaw that makes it DOA. Not a chance in hell. No one is making you visit AppleInsider. You know what you’re getting when you come here. Comments needlessly disparaging the site and tarnishing the brand are a bannable offense as detailed in our commenting guidelines. This is your warning. Hell, none of us even need to watch the event live. What would be the point? That would mean I could do something else useful. Hey, they might not get everything... or maybe this leak was a decoy. Probably not, but I can always hope, right? It would be great to get a Mac Pro update, but I kind of doubt that too. I'd *really* like to see them fix the MacBook Pro mess and release something more in line with previous MBPs, but again, THAT would take more courage than Apple can probably muster. Love the "no-prize" reference. Thanks for a great summary. Is it possible that hurricane Irma have any impact for Apple event this coming tuesday? We have to be realistic. Rumours will always abound, leaks will always happen. Sometimes deliberately, sometimes by accident. This is a news site that reports on the Apple and industry related news that its readers will have an interest in. Of course, it can't satisfy all its readers all the time. In the case of leaks, not publishing them might do more harm than good for the site as traffic could be lost. Who would benefit from that? The other sites that were publishing them. It's almost a damned if you do and damned if you don't situation. At the end of the day, I think most Apple fans have the curiousity and want to read up on rumours and leaks. Apple will bemoan the leaks I'm sure, but also accept that you can't design and manufacture a device for almost immediate availability to millions of users without having thousands of people 'in the know'. It can and does try to reduce leaks, and truth be told, is surprisingly good at it but big surprises are hard to give. However, you feel on the subject there is still a lot to be revealed and detailed on Tuesday. Lots of fleshing out to do on things we are virtually sure of and maybe some 'wow!' moments nobody saw coming. I hedged my bets on iPhone X as the name and an NPU on the SoC. Going out on a limb, dropping 'i' from the name and 'extravagant' colour or finish. Bets aside, I always hope for price adjustments - downwards. With the exception of the new high-end model.